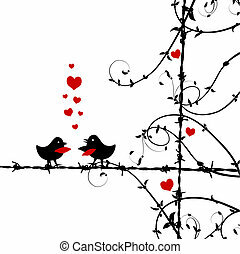 Love birds. 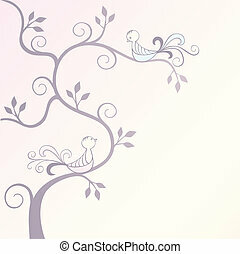 Silhouette tree with two love birds. 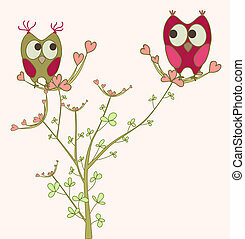 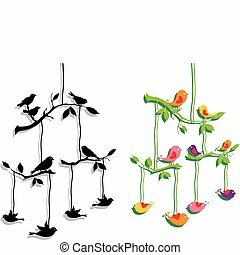 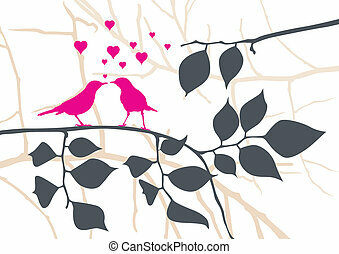 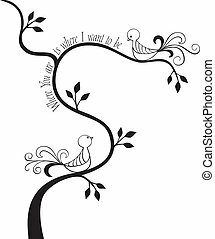 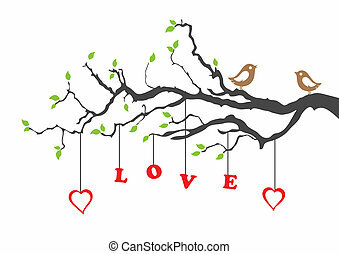 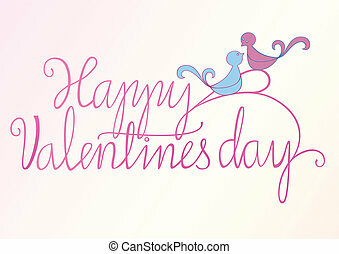 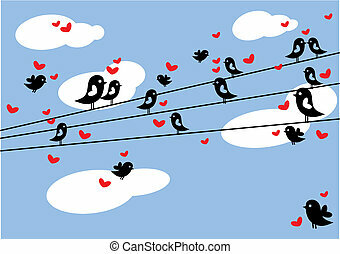 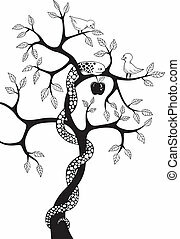 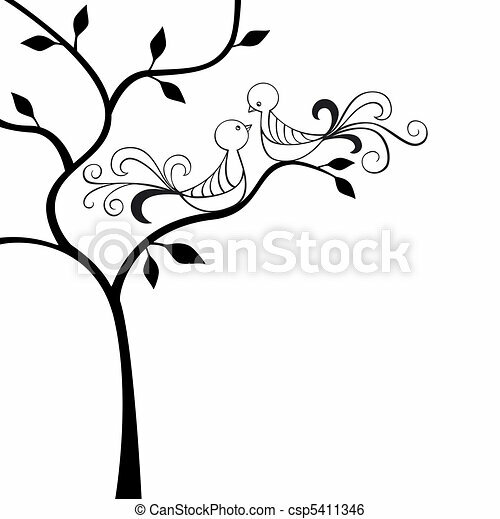 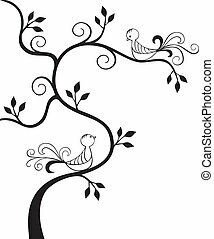 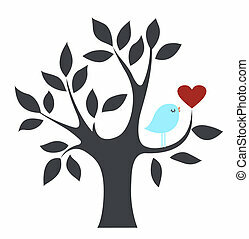 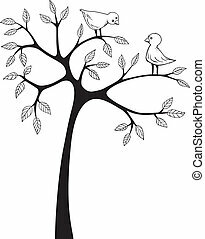 Two love birds and stylized tree. 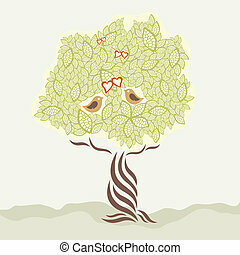 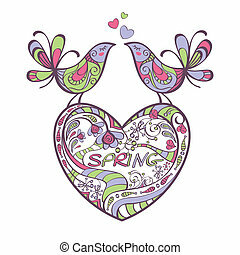 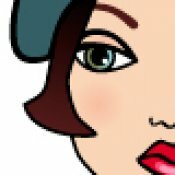 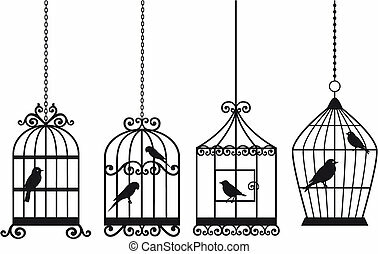 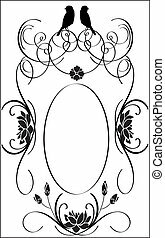 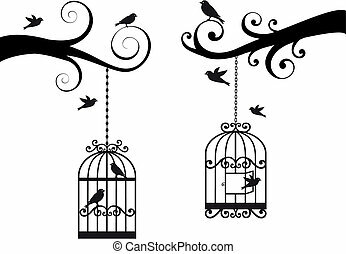 This image is a vector illustration. 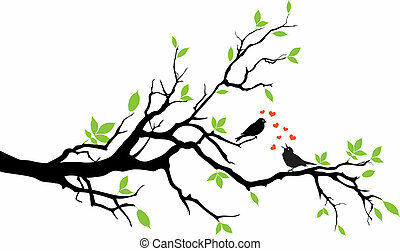 2 Love Birds sitting in a tree looking at each other.